Master of Computer Application (MCA) is a popular three years post graduate degree course in computer applications, awarded in India. Anyone with a bachelor degree and mathematics as a subject in 10+2 can apply for this course (some universities may have some special requirements for admission). In India, MCA is available in full-time and distance learning mode. You can expect a salary ranging from Rs. 1,83,084 - Rs. 15,76,088 after completing your degree. Here are some popular jobs that companies have to offer to a person with a MCA degree. HCL, Wipro, IBM, Accenture etc are some popular companies in India that hire MCA professionals. 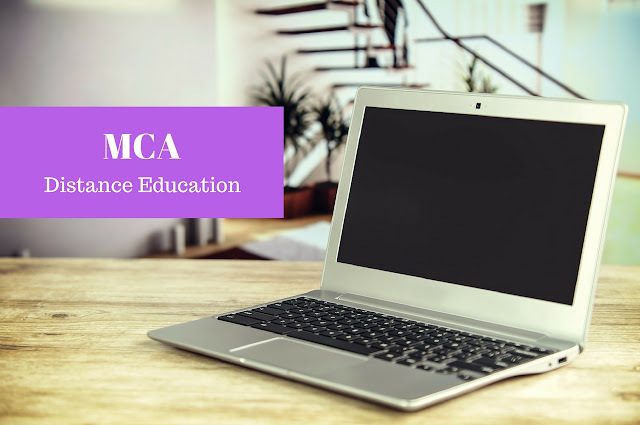 In this article, we'll let you know about the top universities in India that offer MCA Distance Education programme. Here are the top 10 Universities in India that offers MCA course in distance learning mode. 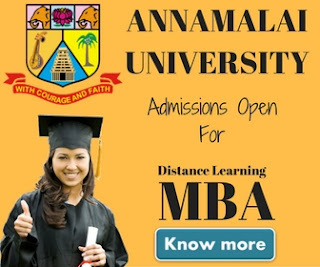 Annamalai University is a popular university in South India that offers three years M.C.A. (Master Computer Applications) programme through distance education mode. The course code for M.C.A programme is 138. The candidate must have completed a three-year bachelor’s degree after completion of three-year Diploma from any recognized University. Annamalai University also offers a lateral entry into the M.C.A programme. The programme is divided into 6 semesters. Students can complete the programme in minimum 3 years and maximum 8 years duration. Sikkim Manipal University Directorate of Distance Education (SMU-DE) is an award winning and ISO 9001:2008 certified university in India. The University offers professional Distance Learning Programs in India such as MBA, MCA, BCA and BBA. The Distance Education MCA programme is one of the popular course offered by the University. It is a minimum 3 Years (6 semesters) program but can be completed in a maximum 5 Years period. The programme is approved by the UGC. If you wish to take admission in SMU-DE MCA programme, you must be having a graduation degree from a recognized University with Maths / Statistics as one of the courses at 10+2 or at Graduation level. The fee for SMU-DE MCA program is ₹ 17,250/- per semester. Indra Gandhi National University (IGNOU) is India's top most open university with it's presence in every area of the country. The University offers a MCA course that can be completed in minimum 3 years and maximum 6 years of duration. You must be a graduate with mathematics as one of the subjects in 10+2 level to be eligible for the course. If you do not have studied Maths at 10+2 level, you will be required to do CS-60 in the first semester of MCA. The total fee for IGNOU MCA course is Rs.54000/- that can be paid semester wise i.e Rs.9000/- per semester. Non-Maths students have to pay Rs.1200/- additional in the first semester. If you are looking for an online MCA program in India, Amity University's 3 years MCA program is for you. To be eligible for the Amity Distance Education MCA course, you must be having a Graduation Degree (BCA is preferable) with mathmatics at 10+2 level. The total fee of Amity distance MCA program is Rs. 225800.00. The Suresh Gyan Vihar University - Distance Education (SGVU-DE) is a new name in the distance education industry. SGVU-DE was established in the year 2012 to help students, who can not attend regular classroom lectures, to pursue professional courses. The university offers BBA, BCA, PGDCA, MBA, and MCA courses through distance education mode. The MCA course offered by SGVU-DE is to help students meet the demand of qualified professionals in the field of Computer Science and Information Technology. To be eligible for the SGVU-DE MCA program, you must have passed with min 45% in B.Sc. with Mathematics or possessing technical degree e.g. B.Tech/ BE./ BCA/ Any Master Degree in any Subject. The duration of the distance education MCA program is minimum 3 years & maximum 6 years. The total fee for SGVU-DE MCA course is Rs. 86,400. Lovely Professional University (LPU) is a well-known private university in India located in the state of Punjab. The Distance Education MCA program offered by LPU-DE provides sound theoretical and good practical exposure to the students in the field of computer applications. You will get in-depth knowledge of recent technologies in use today in the field of computer application. The course code is 1624. The fee for LPU-DE Distance Education MCA program is Rs.10,400 per semester. Venkateshwara Open University is an emerging name in the field of distance education. The University offers open and flexible system accessible to all with country-wide student support services. The university is known for its cost-effective higher education courses. The University offers 3 years MCA programme under its School of Computer & Information Communication Technology. The maximum duration to complete the programme is 6 years. Anyone with BCA, B.SC- (IT, Computer Science or Mathematics) degree can take admission into VOU MCA course. There is no age bar for admission. If you are from SC/ST/OBC/Minorities category, you'll get 20% discount on tuition fee. Jaipur National University is another private university in India that offers MCA distance education course. The University is located in Jagatpura Jaipur (Rajasthan). 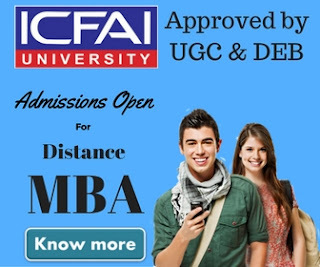 The MCA course offered by the University is approved by UGC-DEB. The MCA course fee is quite affordable i.e only Rs. 19500/- per year. To take admission, you can visit University's official website. Anna University is a popular university in South India. The University offers MCA programme through distance education. It is a 3 years course divided into 6 semesters. To be eligible for Anna University distance education MCA programme, you must be a graduate with Maths at HSC level or degree level and a pass in the entrance test conducted by Anna University. The commencement of new batch starts in the month of July every year. 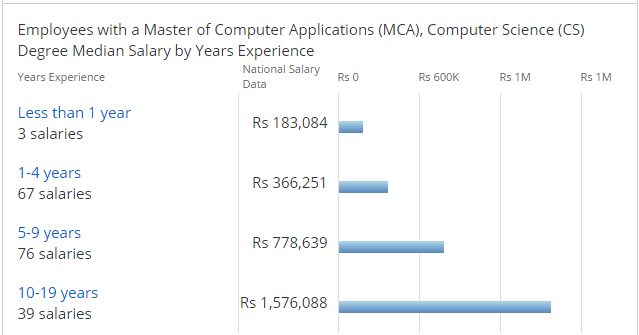 The total fee of Master of Computer Application programme is Rs. 12500 per semester. Established in the year 1971, University of Mumbai is one of the most popular University in the state of Maharashtra. The University offers three years Master of Computer Application (MCA) programme under distance education system. To be eligible for University of Mumbai Distance education MCA course, you must be a graduate with minimum 45% marks (40% for reserved categories) and Mathematics as one of the subjects in 10+2 or higher level. Students are also required to clear the admission test conducted by University of Mumbai to get the admission in MCA programme. Master of Computer Application (MCA) is a good post graduate course for anyone wants to make a career in the field of computer application development. The course is in demand since it was first launched and the demand for the programme is still very high in the market. Distance Education is a recommended medium to study this course because you can continue your job while pursuing this course. You can implement the concept in real life that you will learn during the programme. The top 10 universities that we have mentioned above are just to help you give you an idea about the universities that are offering this course through distance learning mode. There are many more universities in India that offer this course and you can also join them if they are approved by UGC-DEB to offer the course in India.